Jeff Minter says Atari is bullying him legally, trying to diminish his contributions to Tempest, and kill TxK. Last year, Llamasoft developer Jeff Minter released TxK on the PlayStation Vita. The title is clearly a homage or spiritual successor to Tempest 2000, an Atari Jaguar game also developed by Minter. Our very own Jaz Rignall loved TxK, noting in his review that "modern-day niceties have been slathered over Tempest's fundamental concept." Minter himself was rather open about TxK's pedigree, calling it "some kind of an updated version on modern hardware" in an old blog post. 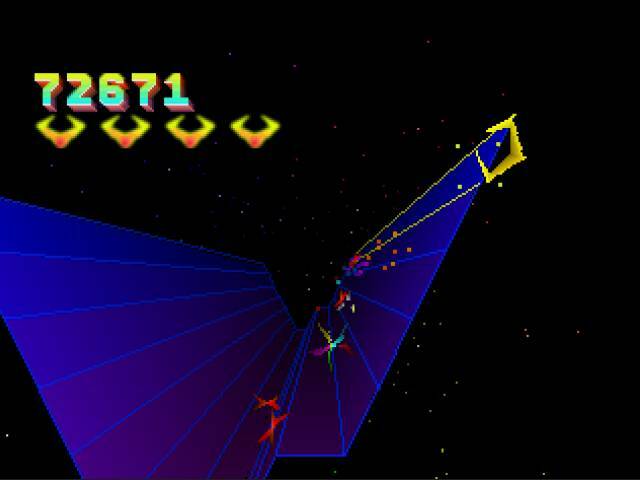 The problem is Jeff Minter and Llamasoft don't own the rights to Tempest or Tempest 2000, so now Atari is stepping in to accuse TxK of being copyright infringement. 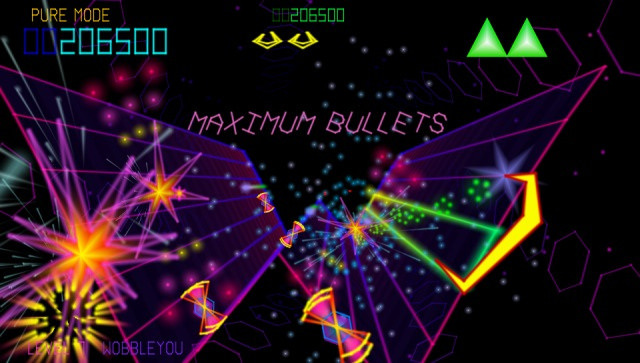 The company has yet to actually file a lawsuit against Llamasoft, but it has sent legal documentation informing the developer of its feelings in the matter. Minter released a letter he received from Atari's legal counsel detailing the company's issues with TxK. "TxK is a blatant copy of the Tempest games," wrote Dorsey & Whitney partner Ron Moscona, representation for Atari in the matter. "Contrary to your assertion, there is nothing remotely 'original' in TxK and in no meaningful sense can TxK be described as your clients' 'own independent creation.' TxK is quite plainly a remake or updated version of the Tempest games. Indeed, your client made every effort to keep TxK very closely to the visual design, look, and feel and identity of the original Tempest game." For his part, Minter is angry that Atari's lawyers are attempting to diminish his work on Tempest 2000 and his contributions to the franchise. He's also incensed that they are calling TxK unoriginal and alleging that Minter used Tempest and Tempest 2000 code for the project. Atari's demands include the withdrawal of TxK from the market, deletion of TxK's source code and executables, and payment of related damages to Atari. "Even just going back and forth a few times with letters responding to their threats ended up running up a couple of grand in legal bills, and there is simply no way on God's earth I can afford any kind of a legal battle," Minter wrote in a blog post on the matter, later copied to Pastebin due to heavy traffic. "They kept hassling us and eventually I sent them sales statements so that they could see for themselves that we weren't getting super rich out of it. Even after having shown them that, they are still trying to insist that I remove from sale Vita TxK (even though it's plainly at the end of its run now and only brings in a trickle these days) and sign papers basically saying I can never make a Tempest style game ever again. So no chance of releasing the ports." The legal wrangling will probably continue on for a while, but until then TxK isn't getting ported to any other platforms. ... and TxK on Vita. This is probably something that we'll see again in the future. We live in a world of Kickstarter homages and spiritual successors. A world with creators returning to franchises that made them famous, like Julian Gollop's Chaos Reborn or David Braben on Elite: Dangerous. Recently, an indie studio comprised of Rare veterans called Playtonic Games announced Project Ukulele, a spiritual successor to Banjo Kazooie, which is currently owned by Microsoft. Many of these brands still have fans, but they're held by major publishers who are doing nothing with them. Developers revisiting these games have to change things around, creating new worlds and characters. They update gameplay mechanics and visuals for nostalgic audiences. InXile's Torment: Tides of Numenera is a spiritual successor to Planescape: Torment taking place in the new Numenera world to avoid legal trouble with Forgotten Realms rights holder Wizards of the Coast. Mega Man creator Keiji Inafune is working on Mighty No. 9, which shares similarities with his famous creation. League of Legends built an empire out of Defense of the Ancients, a mod for Warcraft III. Same ideas with the serial numbers filed off and a new coat of paint. These games all stem for the same idea: Publishers have great games that they're doing absolutely nothing with. I wish developers would step up and make more spiritual successors. There's tons of enjoyable franchises I'd love to see again in some form: Final Fantasy Tactics, Contra, Shadow Hearts,Breath of Fire, Timesplitters, Soul Reaver, any of EA Sports' Street games, Tenchu, Streets of Rage, Black & White, Turok, Actraiser. I could list games all day. I'm sure you could too. There's franchises and one-shot titles that are lying dead in some digital landfill, hidden away by companies that don't know about the games they hold or don't care. Jeff Minter may be legally in the wrong, but his heart is in the right place. Unfortunately for him, Tempest and Tempest 2000 don't have much of a plot. There's no new characters or worlds to make up to deflect infringement charges. TxK does look like it's just a new Tempest game, an update of an old idea. That it sold at all should be a sign to Atari that a market for more Tempest exists, if it's done well. Instead, Atari keeps the game alive in arcade collections and web ports of the original games; a bare minimum effort. That's sadly what we have to look forward to in many cases, a complete lack of effort or nothing. Do you think Llamasoft is in the wrong here? How should Atari be handling TxK? What other games do you wish someone would create a spiritual successor for? Tagged with Analyses,	atari,	Jeff Minter,	llamasoft,	tempest,	txk.